Orlando. Myrtle Beach. New York City. 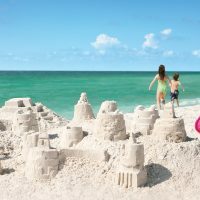 These are popular destinations that come to mind when we think of family vacations. But what about all the destinations that don’t? Consider one of these surprisingly family-friendly vacation destinations for your next trip. Perhaps you’ve never heard of them, or perhaps you just assumed they weren’t welcoming to children. Either way, we promise you’ll be pleasantly surprised. Sedona has a reputation as a spiritual destination, popular for retreats in the wilderness amongst the Red Rocks and monuments such as Cathedral Rock and Chapel of the Holy Cross. It's also popular for its wellness spas, where visitors can practice reiki before sinking into thermal baths. But Sedona -- just two hours from the Grand Canyon -- is equally family-friendly. Go for a hike and swim at Slide Rock State Park during the day, and try a stargazing tour at night. Be sure to do a Pink Jeep Tour of the Red Rocks, too! And, if you want to see one of Sedona's great rock formations, head to Snoopy Rock! Yes, this rock truly resembles Snoopy lying on his back. If you have some extra time, plan day trips to the former mining town of Jerome, or head to Flagstaff. Many people associate Tallahassee with Florida State University (FSU) -- and nothing else. But there's so much more to Florida's capitol city, including historic Mission San Luis (smack dab in the middle of the city), up-close wildlife encounters with manatees via Harry Smith Outdoors kayak tours or alligators on a Wakulla Springs swamp tour; and an up-and-coming food scene we've been dreaming about since our last visit. If you go, head to Paisley Cafe, Food Glorious Food and Lofty Pursuits (and then thank us later). Wineries aren't just for adults. In fact, visit Napa Valley and you'll see quite the opposite. You'll find plenty of children sipping grape juice, coloring or enjoying picnics with their parents at many of the wineries. Such is the case at Castello di Amorosa, where grape juice and activities are served in a winery that looks like a castle. (Fun Fact: Parts of Disney's "Bedtime Stories," featuring Adam Sandler, were filmed here). Other fun for kids includes rides along the Napa Valley Wine Train. Nearby Sonoma Valley is also fantastic for families. "Hiking, picnics and bike rides through beautiful scenery make Sonoma fun for families. Many wineries offer fun stuff for kids, too, like a fish pond, playground, or horse drawn carriage ride," says Collen Lanin, founder of Travel Mamas. Gettysburg brings in the history buffs and ghost hunters with its storied (and very haunted) Civil War battlegrounds and downtown area. But families shouldn't overlook this little town, where kid-friendly, educational activities include the Ghosts of Gettysburg Tour, with guides dressed in period costumes, and the Jenny Wade House, former home to the only civilian killed in the Battle of Gettysburg. While you're in the area, be sure to stop by Mister Ed's Elephants for a sweet treat; any number of the area's pick-your-own fruit orchards; and, our personal favorite, the Land of Little Horses. Bonus: Gettysburg is close to Lancaster (Pennsylvania Dutch Country) and Hershey! Costa Rica is well worth a visit, but don't ignore its neighbor to the north. Nicaragua, too, offers its share of outdoor adventures, including water sports, visiting volcanoes and wildlife sightings in the country's national parks and nature preserves. And it's exceptionally affordable, with many hotels listed for less than $100 per night! Of course, you can also splurge at eco and/or luxury resorts. "With its reputation in the U.S., it's easy to overlook it as a family-friendly destination, but Amsterdam just has so much to offer," says Annalyn Belle. Go on a family bike tour or try the city's bakfiets (cargo bikes); float down the canal in a private boat or stay overnight in a houseboat; and take in Amsterdam's natural beauty with kids. Amsterdam is especially ideal for families with teens, who can appreciate a visit to the Anne Frank House. If traveling with youngsters, don't miss the Kinderkookkafe, where kids can cook their own meal and play, both inside and outdoors. Sans Bourbon Street at night, New Orleans is as family-friendly a city as any! "People think it's all boozing and flashing in the streets, but it's not. The Audubon attractions (zoo, aquarium, insectarium) are fabulous. Kids also love shopping the French Market and seeing the musicians and artists along Jackson Square," says Karon Warren of This Girl Travels. Other can't-miss things to do in "Nawlins" include a cruise aboard the Steamboat Nachez; getting covered in powdered sugar as you eat beignets at Cafe du Monde; and French QuarTour for Kids -- a kid-friendly tour of the famous French Quarter! Outside of downtown New Orleans, try a swamp tour, take young kids to Story Land and Carousel Gardens, or take teens to the Garden District for Instagram-worthy photos of the Antebellum-era mansions. More and more families are looking beyond domestic destinations for their vacations, trading them for exotic, international locales instead. "We always thought of it as a honeymooners destination, but we were surprised by how family friendly it was -- from kids' clubs activities to included nanny services to the genuine love and affection Fijians have for children," says Karilyn Owen of No Back Home. Fiji offers stunning resorts (some all-inclusive! ), water sports galore and most importantly, time to disconnect (after you've made your friends jealous with your Snapchats, of course). 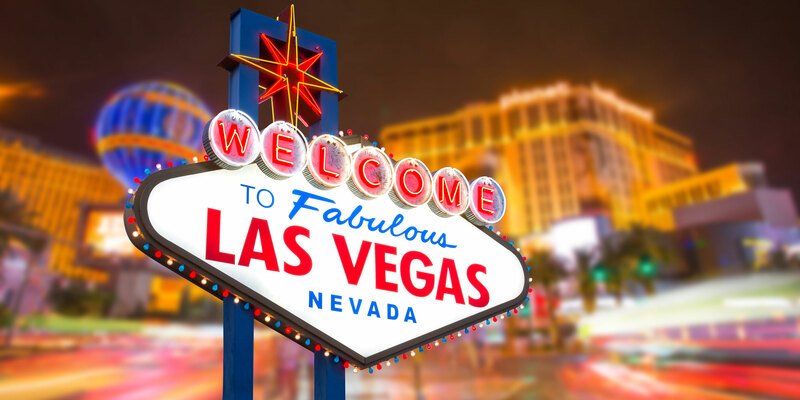 The Adventure Dome Theme Park at Circus Circus, Big Apple Coaster, Discovery Children's Museum, High Roller Observation Wheel, Madame Tussauds, Wet n' Wild Las Vegas and Stratosphere -- those are just some of the things you can do with kids -- without ever stepping into a casino -- in Las Vegas. Many of the shows, such as Mystere and Blue Man Group, are also kid-friendly. And the nightly Bellagio Fountains shows have always been a spectacle for families. While you're in town, plan a day trip to the Grand Canyon and/or Hoover Dam. Detroit used to be a city with a dangerous reputation. But The Motor City has seen a renaissance in recent years, with newly established neighborhoods, Michelin-starred restaurants and plenty of family-friendly attractions. Watch a Detroit Red Wings hockey game or check out one of the city's many museums, such as the Michigan Science Center, Motown Museum and Detroit Institute of Arts, where guided family tours are offered. Of course, no trip to Detroit is complete without a visit to the Ford Piquette Avenue Plant, where the Model T was invented!